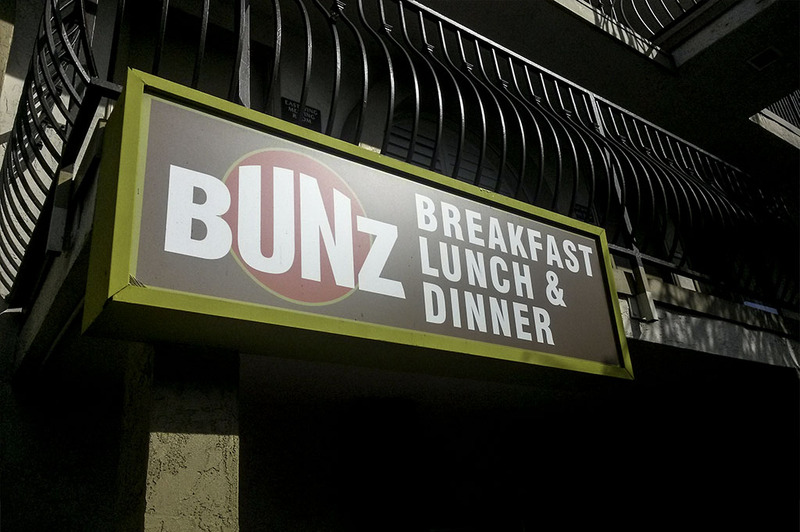 Bunz is located in the Hotel Circle nestled in with some of the lodging just south of the 8. 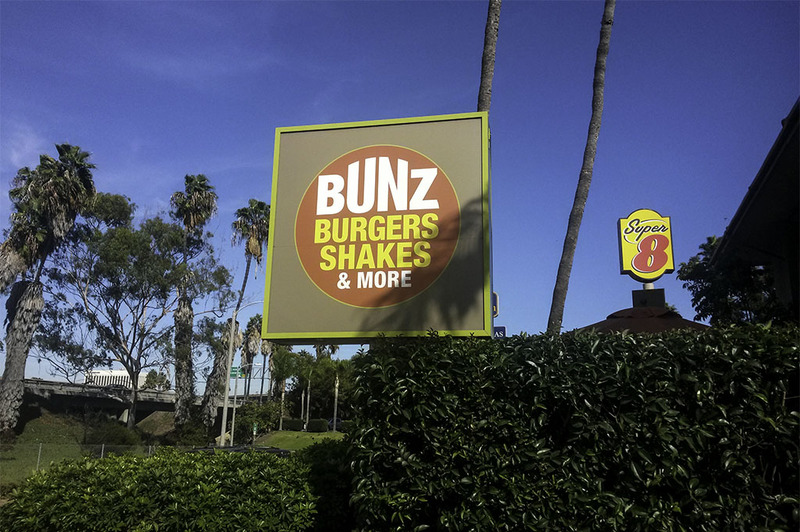 From the outside, you would think that Bunz is just a run-of-the-mill burger joint. Let’s just say that it’s not! 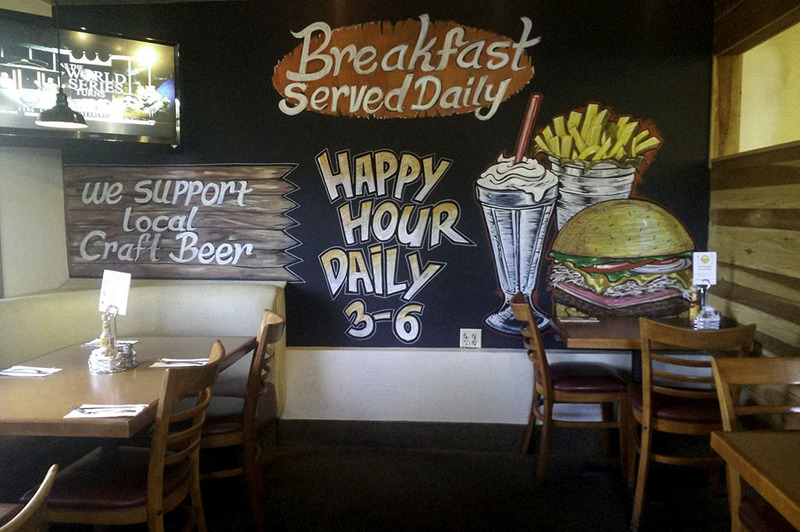 Chef Jeff Rossman, who’s also the owner of Terra American Bistro in East County, has outdone himself with this burger paradise centrally located in the heart of San Diego. Recently, I had my mother in town from Houston and she loves her burgers, like most Texans. I had heard of this little spot off the 8 that was doing big things with their flavors, so I thought we could try it out. We were both pleasantly surprised to discover that they carry a number of local craft beers on tap. We both ordered a Big Eye from Ballast Point and sipped it while we sat on the patio and checked out the menu. TJ hotdogs are one of my favorites. If you’re new in town, a TJ hot dog is a Tijuana specialty served by street vendors. 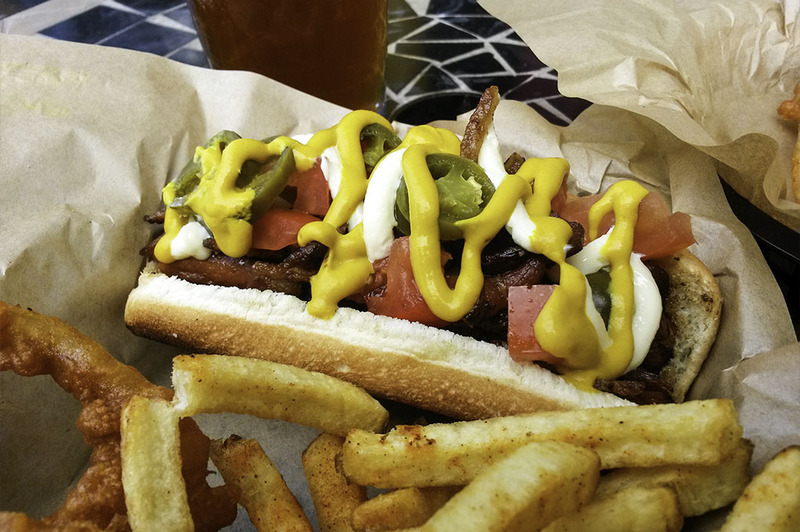 Tijuana’s version consists of an all-beef hot dog wrapped with smoked bacon and served with mayo, mustard, pickled jalapenos and tomatoes. Notice I said all-beef hot dog. Definitely an American spin on it, but delicious nevertheless. What a great hotdog! 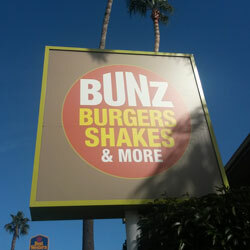 I love onion rings and Bunz’s were not disappointing to say the least! 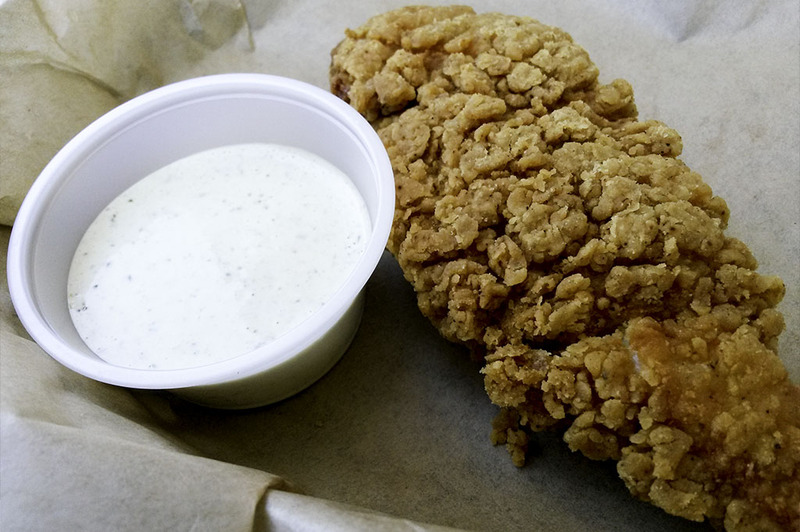 They’re made on- the-spot with a light breading that gave them a really crispy crunch. We split the hot dog as an appetizer. It was all I could do not to order another one! 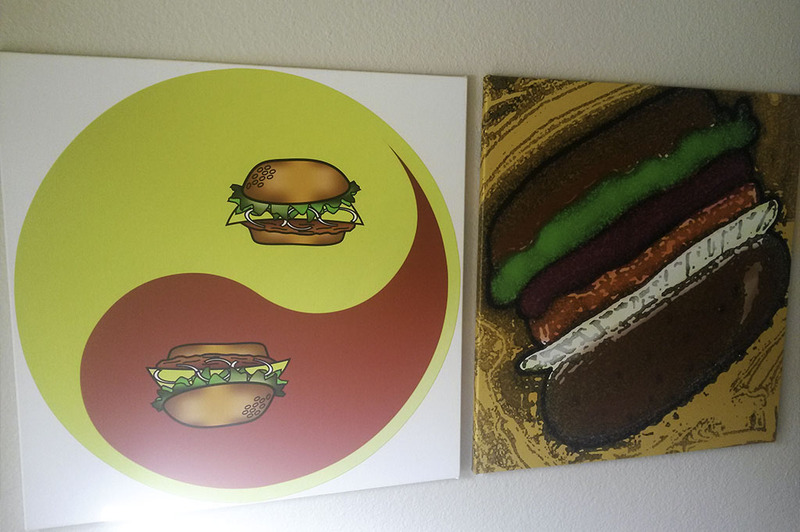 I had come to Bunz to try their famous Three Lil’l Pigs Burger. If the bacon-wrapped hot dog wasn’t enough, I just kept on the pork train heading south. 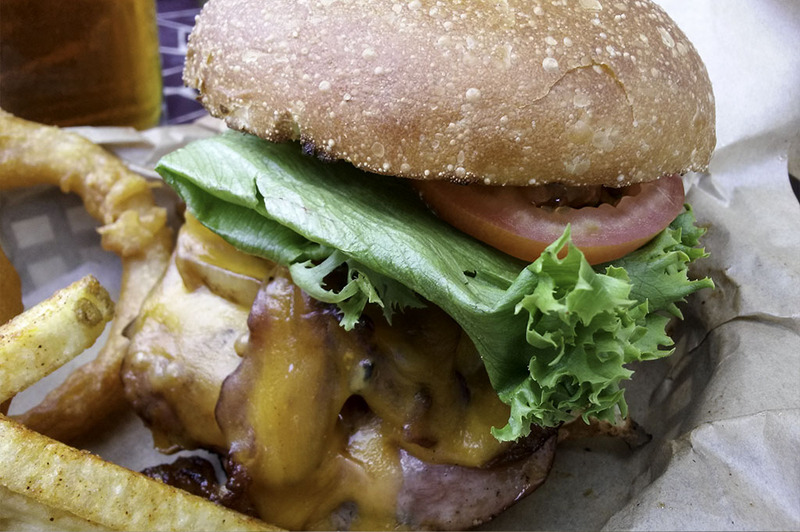 This burger is a carnivore’s delight, made with smoked bacon, ham, pulled pork, beer thyme mustard, cheddar cheese, lettuce, tomatoes and onions grilled to perfection. The flavors derived from this masterpiece are on another planet, it sent my taste buds on a nice little staycation only San Diego can provide. The cheddar cheese just drips down each layer of pork and thrives on the fresh vegetables, with just the right amount of homemade mustard. Wow! Wow, is right. 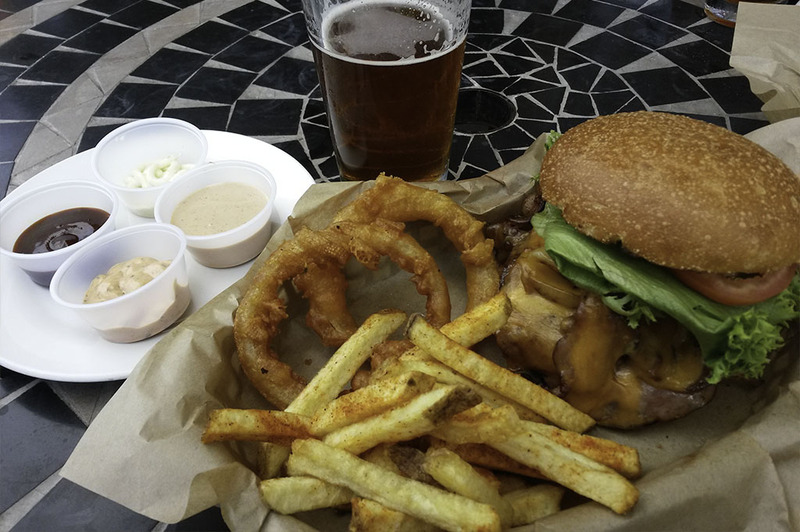 Bunz’s has numerous homemade sauces that let you know right off the bat that it ain’t no ordinary burger joint. My favorites were the Chipotle Aioli and the Beer Thyme Mustard. I suggest you ask the waitress to bring a few to the table to use as dippers for French fries or onion rings. 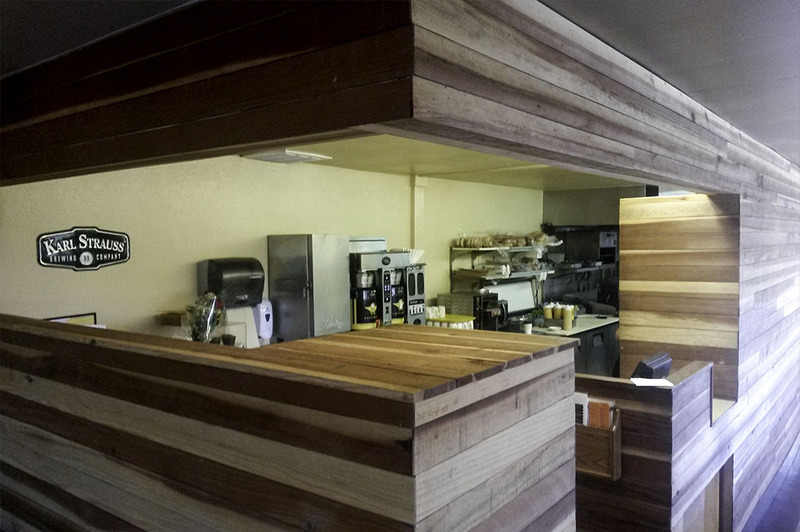 Bunz’s has a large selection of specialty desserts, so save room for them if possible, or go there just for the dessert! Ha! If I weren’t already turning into a squeaking little pork belly, the waitress mentioned they had a special dessert I must try; the Caramel Apple Concrete. Must try I did! While there are many varieties of this dessert, I sampled the Caramel Apple: vanilla ice cream, warm Dutch apple crumb pie, caramel sauce and pecans. This delectable dessert was rich and creamy with a warm apple crunch. Unlike any dessert I’ve recently had, after just a few bites I was stuffed. Thankfully, it came in a to-go cup so I was able to enjoy it later that evening. Savoring it brought me back to my wonderful experience of pork, beef and local craft beers. It just doesn’t get any more American than that!